Sheryl Bailey, acoustic guitar and Harvie S, acoustic bass are Plucky Strum. Plucky Strum weaves together intimate musical story lines that combine jazz, classical, Latin and pop music. This all-acoustic guitar and bass duo explores the joy of creative improvisation through lush harmonies, beautiful melodic lines, and captivating rhythms. Their new self-titled debut release, “Plucky Strum” has been followed by “Departure” both on Whaling City Sound. It was Down Beat’s editorial pick august 2017 and received rave reviews. There's no description more apt for Sheryl Bailey than "A sizzling guitar goddess", coined by Elliot Simon of All About Jazz. 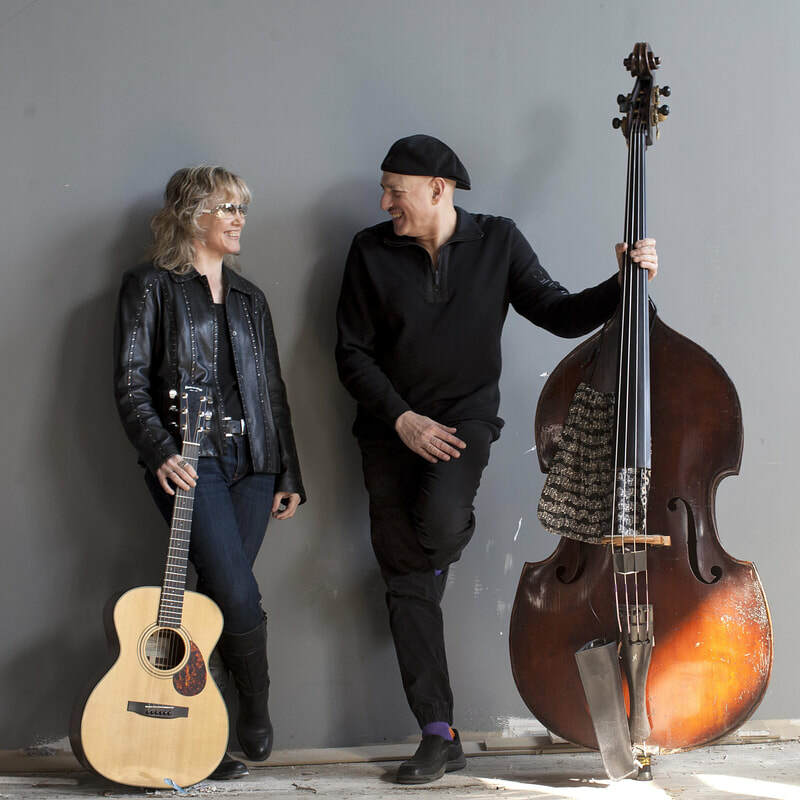 He's not alone with his superlatives-Adam Levy of Guitar Player Magazine calls Sheryl "one of the most compelling tones of her generation," and Frank Forte of Just Jazz Guitar ranks her "among the best bop guitar players with a fresh approach and something new." Harvie S is a veteran of the jazz and Latin music scenes. Known for his long standing duo project with jazz vocal legend Sheila Jordan, he has performed and recorded with Stan Getz, Chet Baker, Dexter Gordon, Tony Bennett, Ray Baretto, Michael Brecker, Jean Pierre Rampal, Paquito D’Rivera, Gil Evans, Art Farmer, Mark Turner, Jim Hall, Stefon Harris, Billy Hart, Lee Konitz, Yusef Lateef, Dave Leibman, Joe Lovano, Pat Metheny, Paul Motion, Chico O’Farrill, Danilo Perez, Maria Schneider, Zoot Sims, Toots Thielemans, Ray Vega, James Williams, Phil Woods, Louie Bellson and countless others. He can be heard on twenty albums as a leader, fifteen as a co-leader, and over four hundred albums as a sideman.